Evan Falchuk, who is now 44 years old, is a successful entrepreneur. He has served 13 years on the executive leadership team of Boston-based global health care company, Best Doctors, Inc., and has played a lead role in helping to grow the company–placing the company in Inc. magazine’s list of “Fastest-Growing Private Companies in America”, from 9 employees to over 600. 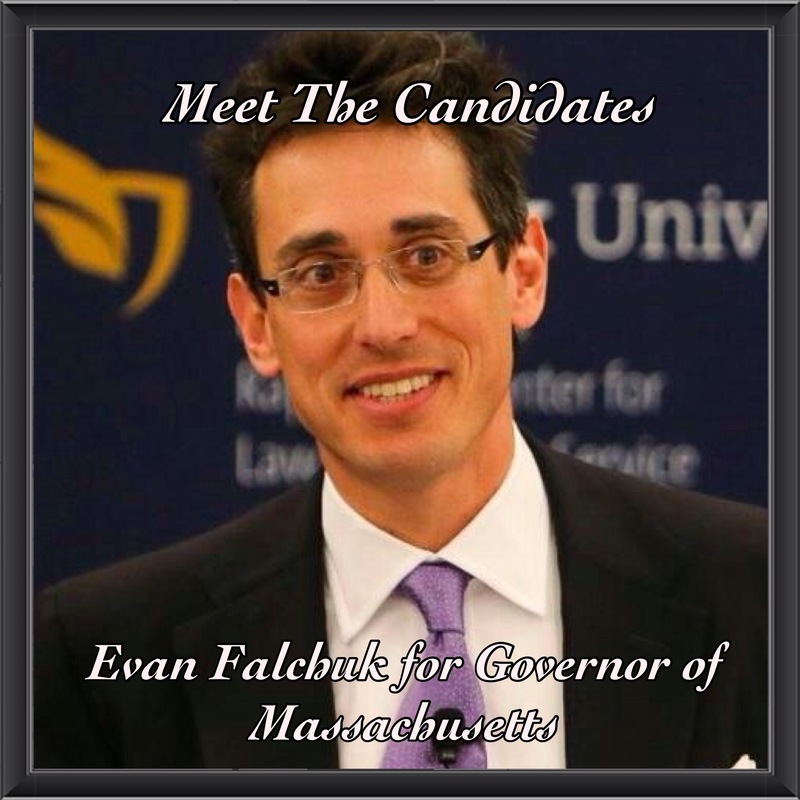 In this interview Evan tells me that he is running for governor not just as an independent but as a founder of a new political party in Massachusetts called the United Independent Party. He founded this group because the political process today is not representing people like it used to–it has now been exclusive to interest groups. His vision for this new party was based on these principles: equality, civil rights protection for everyone, AND smart spending–the Commonwealth must spend taxpayer money wisely. Although the pragmatic combination of these principles does not fit into the traditional Democratic or Republican “boxes” it does fit exactly into what the majority of voters prefer. For him it’s all about believing in issues that are consistent with our beliefs. One of his main platforms that he is advocating on is reducing the cost of living in Massachusetts. He says right upfront that the cost of living in Massachusetts is “too high.” And the two reasons behind it are healthcare and housing costs, which a lot of state legislators are making a lot of money off of. And when I asked him to share an embarrassing story from the campaign trail, he actually talks about the embarrassment of this race due to the recent issues that have been raised. Evan says that these debates are not serious. Instead of talking about racism, housing costs, medical costs, seniors, or student debt, these debates raise issues like “what is your favorite Halloween costume?”, “Who do you think your opponent should play in a movie?” or “When was the last time you cried?” He was quite embarrassed because nobody was talking about the real issues in Massachusetts. He even called out the Boston Globe, a respectable newspaper, for their reporting because they rather investigate politicians’ coffee habits instead of the issues. When the Press starts acting like “info-tainment” instead of a watch dog, he says “that is embarrassing”–and they are getting paid to do it. However his biggest concern is that leaders do not inspire their citizens to go to the polls and vote. One person said to Evan, “they come to collect our votes and then leave and comeback in two years.” Sixteen percent of Massachusetts population voted in the primaries last year, so Evan wants to make sure that on November 4th, leaders are inviting as many people as they can to the polls and vote–and seek ways to mobilize them towards positive change.